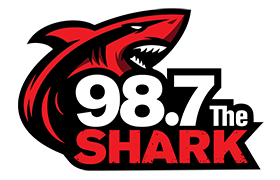 98.7 The Shark is welcoming Queen with Adam Lambert to Amalie Arena on August 18th and we have a pair of tickets for you to go enjoy the show! The Who will bring their powerhouse rock to Tampa's Amalie Arena this fall. The band is also releasing their first album of new songs in 13 years later this year. Familiar faces such as Simon Townshend, Loren Gold, Jon Button, and Zak Starkey with be joined by some of the best orchestras in the US and Canada! Click the link above for more information and to purchase tickets. 98.7 The Shark welcomes Ozzy Osbourne with special guest Megadeth! Rock and Roll Hall of Fame inductee and Grammy®-winning singer and songwriter OZZY OSBOURNE has announced additional North American tour dates for 2019. For these shows, OSBOURNE will be backed by his longtime collaborators Zakk Wylde (Guitar), Blasko (Bass), Tommy Clufetos (Drums) and Adam Wakeman (Keyboards), with Megadeth supporting for the entire North American run.